Kenn Adams’ Adventure Theater: Adventure at the North Pole! 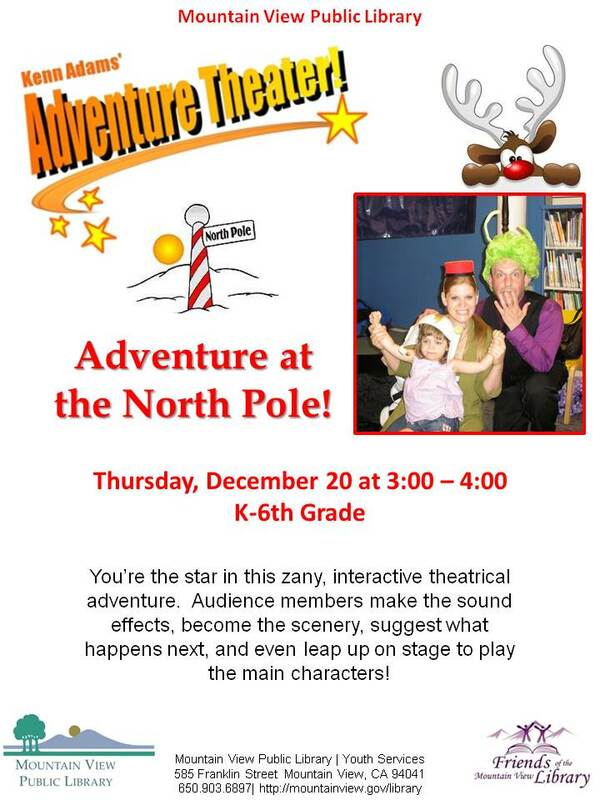 You’re the star at Kenn Adams’ Adventure Theater Adventure at the North Pole! Get ready for Christmas with this zany, interactive theatrical adventure where audience members make all of the sound effects, become the scenery, suggest what happens next, and even leap up on stage to play the main characters! For grades K - 6th.